Sensible Object makes entertainment for a connected world. Our games and experiences merge physical and digital, harnessing the power of devices already in the connected home to power face-to-face social interaction. We aim to be the first global entertainment company of the Internet of Things. Our first product - the award winning 'Beasts of Balance' - is available now at John Lewis and Amazon. It's a physical stacking game, connected to a digital strategy game where you build world and collect Beasts. Designed beautifully, and made for families to play collaboratively, it's a great embodiment of our founder's vision. Which bike are you riding, and why? Tom - I ride a Gocycle G3. I'm a newcomer to city cycling, but was determined to get on my bike as I'm commuting from the shires for the first time in 20 years. Being a proud early adopter of all things tech, and a supporter of great British businesses, I'm not sure there was any other choice to be made! I love the comfort, the engineering, and how it shrinks London. I'll get return on the investment simply from my reduced Uber bill, plus I'll never have to go on the tube or pay for parking again. 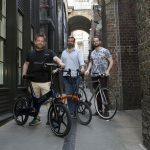 Alex - I've been riding Bromptons in London for about 10 years, with a short gap in the middle: I bought, rode, and then either lost or had stolen 3 bikes in rapid succession. There are many things I love about my Brompton, but the biggest one is that it's very hard to nick a bike from under your desk. I ride a Swobo Sanchez frame with components from Brick Lane Bikes. Strong, light, and at a glance doesn’t look like anything you’d waste time stealing! At Sensible Object we are passionate about creativity, social interaction and play. So often digital devices create barriers to real interaction, particularly in families. We want the powerful tools we allow into our homes to be enablers for great family time. Tom - I've always cycled, but only for leisure, never as transport until now, but I am never looking back. S_O is a very bikey bunch, and I've been welcomed as a cyclist despite having a motor on my bike. Tom - I'm a sucker for gear, so that's a big part; barely a week goes by that I don't pick up some accessory or other from Velorution. My Topeak phone holder and by lightweight vented Carrera helmet are the latest acquisitions. I love my morning ride through Hyde Park, a chance to take stock and prepare mentally for the day. The exercise is good too, I do about half the work and it's great for my health. I've always loved Somerset House, so being based here fills me with joy. 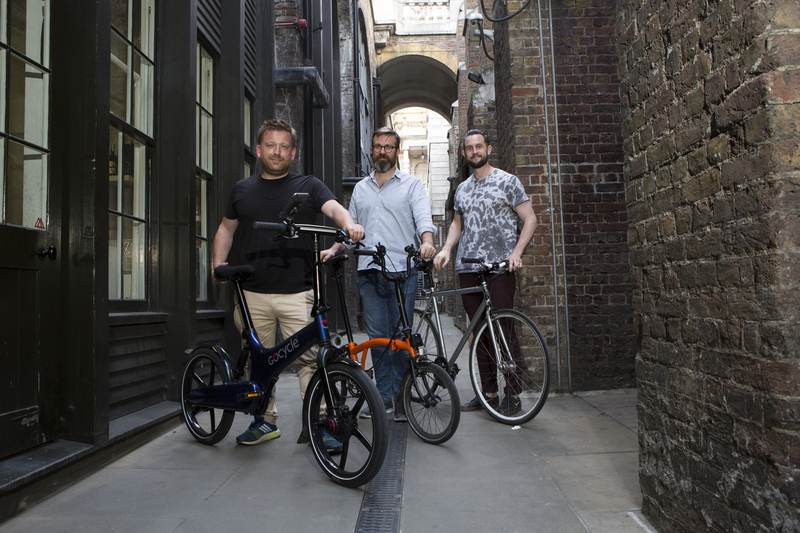 Makerversity is in the vaults under Waterloo Bridge and there is an amazing community of creative people, and many cyclists. I cycle through Hyde Park, down the Mall to Buckingham Palace, then via Whitehall and Horse Guards Parade, and onto embankment. It's a long way round, but feels safe and airy compared to the short route. Riding into the back entrance of Somerset House makes me feel special. This entry was posted in Velorutionaries on 25th January 2018 by Velorution.